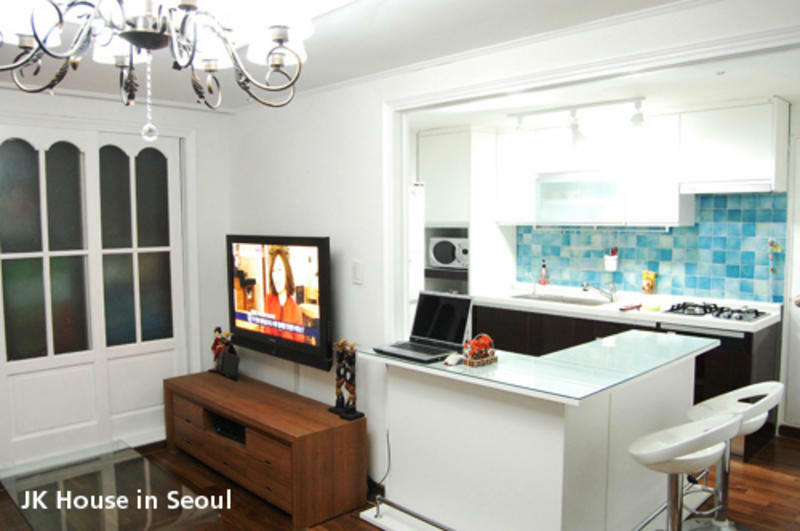 JK House in Seoul(home stay style) is located in heart of Shin-chon, university town. Within 5 minutes by walk Yonsei University located. Also Ehwa woman's university and Segang university located near guest house. Across main street, there are Hongdae area, the heart of young culture. JK House in Seoul, 5 story house, composed by Home stay style guesthouse for travelers and residence (room for rent by month) for student and business man. Whether you stay one day or one year we will give heartily service and useful information of Korea to you. JK House in SEOUL, built in 1996 and renovated in 2010, have 23 rooms for traveler and resident. At the moment 3 rooms operated as guest room for tourist. JK House in SEOUL has two dorm types room available both with 4 beds which can sleep a total of 8 people and one private single room with shower and toilet. Bed sheets and linen are provided and all rooms come with security lockers, reading lights and bathrooms with 24hr hot showers. Private rooms are also equipped with air-conditioning units. Subway : Take the subway line number2 and get off at the station 'Sinchon' and exit number 1.Then you will be in front of Hyundai department store. Airport Bus : Take bus number 6002 and get off the station' Sinchon - Hyundai department store' And cross the street to Hyundai department. Walk main street direction to KFC ,you can find Wall street institute building. Then turn right to Seven eleven and you will find Chang-seo Elementary school gate. Go straight 30m to the corner and turn left then you can find X-Class building. Guest house is in second floor X-Class building.